The H81M-E35 V2 is a microATX board with a mere 2+1 power phases, but it has the ability to overclock Intel’s unlocked Pentium G3258, and MSI’s QVL even contains higher-end 84W CPUs. MSI gives you four. There is also front- and rear-accessible USB 3.0. The ALC887 is a better mainstream codec than the ALC662 more commonly found on cheap boards. It is the second one we obtained after our first sample was unstable over 4GHz on any board I tried. My successful overclock was achieved with one manual setting: changing the CPU Ratio from Auto to 4200MHz. We did try the OC Genie and were a little disappointed that it did nothing. Given that a few benchmarks showed lower results after the overclock, and since we could not record BIOS screen shots, we cannot rule out the possibility of some sort of firmware bug. Today’s board is tied for last place in its stock trim on the DX9 basic settings, and it falls to dead last in DX11. Overclocking shifts it to first place under DX9, but fails to move the needle in DX11. In any case, the difference is less than one percent, which is hardly noticeable. It is perhaps worth noting that the test board’s SATA 6Gb/s performance was lower when overclocked, even though its USB 3.0 performance was a little higher. There’s plenty of room between the RAM slots and the back of a graphics card, allowing the latches to be opened without clearance issues. The CLRCMOS1 header does not include a jumper block. It is on the other side of the chip-set rather than being near the battery, but is readily accessible. The four-pin CPU power cable is near the right edge, with nothing between it and the edge that would interfere with cable management. 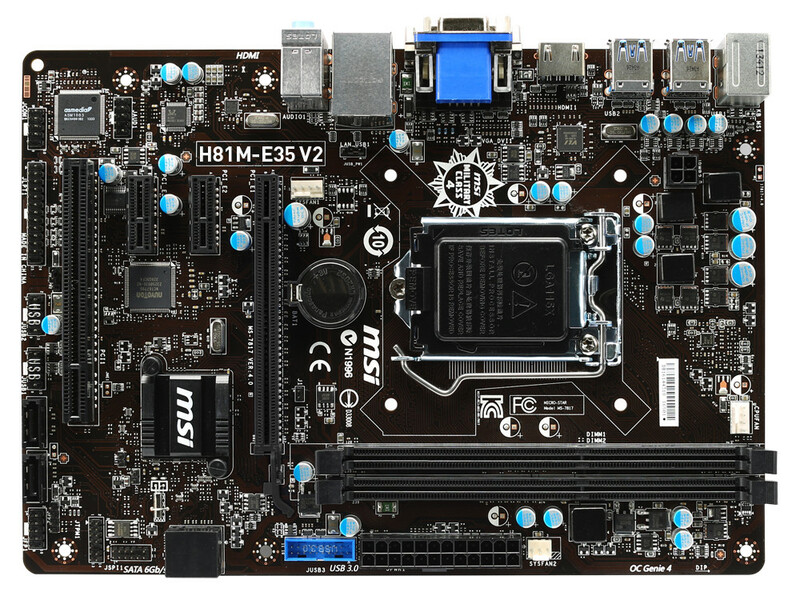 MSI identifies this board as “Military Class 4”, which, along with a generous three-year guarantee, implies it will be reliable. Still, even some cheaper boards with similar port counts offer that same warranty period.